ENM Company Introduces our new Series , T39 LCD Hourmeter/Counter combination, features a 6-digits hourmeter and counter instrument is ideal for any application that requires recording both time and measurement . The two displays can operate independently or in parallel. This compact tamper-proof meter is protected from the environment to provide years of service. Click HERE to view/download the technical data sheet. ENM Company extends its roots back to 1957 when it first began importing counters to the United States from a company in Enfield, England called English Numbering Machines. 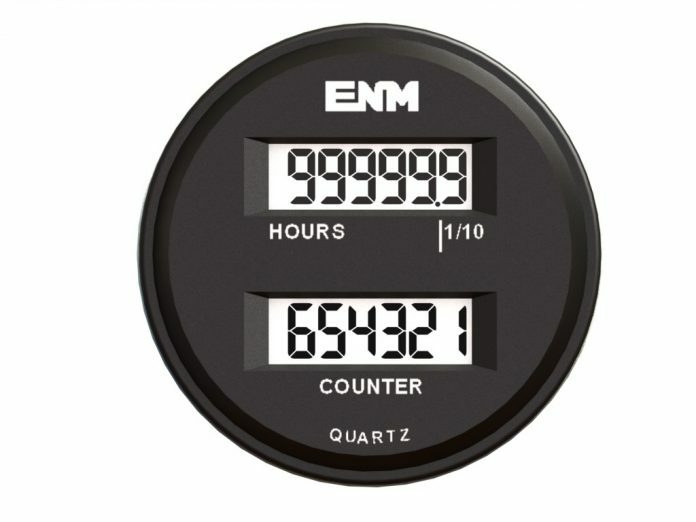 Today, ENM is its own corporation, manufacturing its vast array of counters, hour meters, adapters and digital products right here in Chicago, Illinois. ENM is proud to have a product line that covers almost any counting or timing application. With ENM as a supplier, you will have the highest quality ,quickest delivery, and the expertise of over 60 years of experience as an OEM supplier of counters and hour meters on your side. Our website describes standard ENM counting and timing devices that are popularly specified for original equipment applications. But this does not represent all ENM products or variations. If you do not see what you are looking for, ask for it!